Roll up your sleeves and show the best dressed wrist in town with one of our gemstone bracelets! 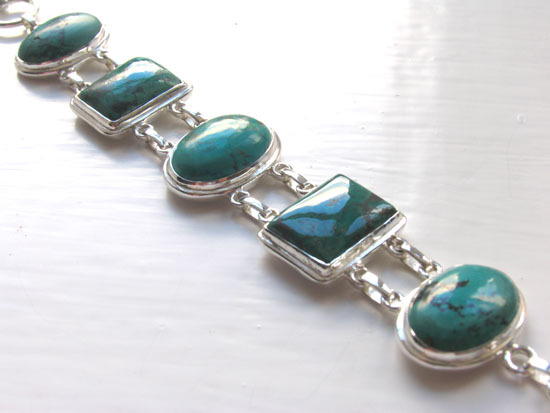 A gemstone bracelet is a precious thing and makes a wonderful and thoughtful gift. You'll find your birthstone bracelet and your anniversary bracelet amongst our collection, not to mention all your favourite gemstones. An amethyst bracelet has its place in every jewellery collection. For those who like the clean classic look, a black onyx bracelet in sterling silver is a must have. Explore more unusual gemstones such as our iolite bracelets and tourmaline bracelets. Our collection includes gemstone bead bracelets, tennis bracelets, bangles, cuffs and statement bracelets.